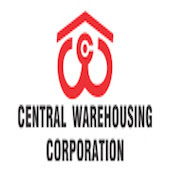 Online Application Details for Central Warehousing Corporation CWC Recruitment of 4 Warehouse Assistant is given below. Application form and duly attested documents are to be sent to Regional Manager, Central Warehousing Corporation, Regional Office, No.F/ 4 (2nd Floor), Indradhanu Market Complex, P.o. IRC Village, Nayapalli, Bhubaneswar-751 015. In envelope super scribed with 'Application for the Post of Post Name'.